I am participating in The 100 Day Project again this year. The basic idea of the project is that you choose one creative thing to do every day for 100 consecutive days. This time around I'll be working on embroidery for 100 days. I have so many ideas for patterns (many of them from my sketchbooks) and I'm excited to finally make some headway on getting those patterns out of my head and on to fabric. You can follow along with my project on Instagram and at the hashtag #100daysofhopefulembroidery. These trees are one of the first things I stitched as part of this project. I love the simplicity of the pattern. I stitched it up in just a couple of sittings, and it was such fun to see how quickly it came together. I'm delighted to share the pattern with you today! 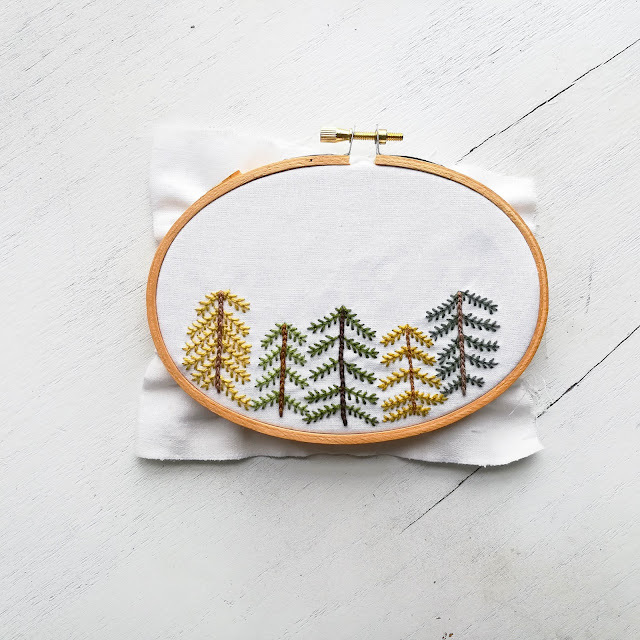 Pattern is sized to fit in this sweet little 5" embroidery hoop. I use a light box (similar to this one, except mine was made from scratch by my talented and very handy husband) and a water soluble tracing pen to trace the pattern onto fabric. 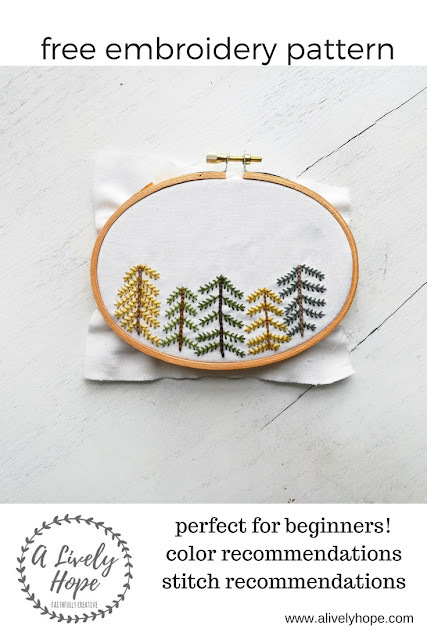 I have never tried it myself, but I know a lot of people like to use transfer paper and then iron the pattern onto the fabric instead of needing to trace all those lines. I usually use DMC embroidery floss. Find more free embroidery patterns here and many more in my shop as well.